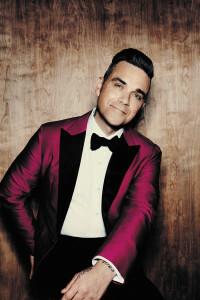 Robbie Williams’ 2017 European stadium tour will see 29 shows in 18 countries, opening at Manchester’s Etihad Stadium in June and arriving at Budapest’s Groupama Arena on August 23. Williams celebrated receiving a prestigious BRITs Icon Award last autumn. This is the highest accolade given by the BRIT Awards and had previously only been awarded to Elton John and David Bowie. It is only presented to artists whose writing, recording and performances have set them apart for their lasting impact on British culture, thus recognising the very highest level of achievement in music. The support act in Budapest will be Erasure, and tickets are available only in limited numbers via www.livenation.hu and in Ticketpro network.